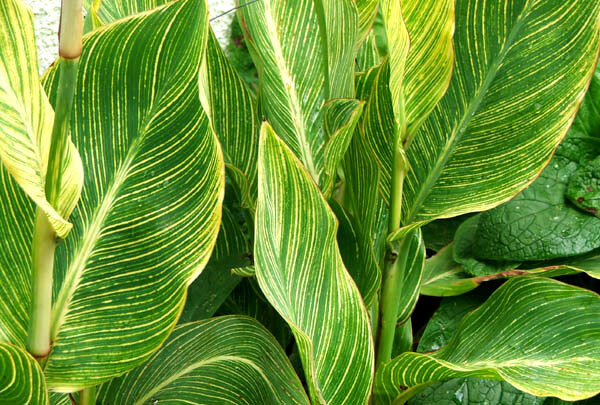 This beautiful lemon and green striped Canna is known by other names in other countries. In New Zealand it gets the exotic name 'Bengal Tiger'. In the Moosey Garden this Canna is grown shamelessly for its foliage. In early summer I even forget how beautiful the flower colour is! In my garden cannas are slow to fully develop, and don't get big enough to flower until late in the summer. And it's really autumn before the flowering starts properly. In gardens which have slightly warmer winters than mine these Cannas would be able to be grown out in the open - along fences, etc. and would naturally bulk out. They are plants which are associated with warm semi-tropical gardens. 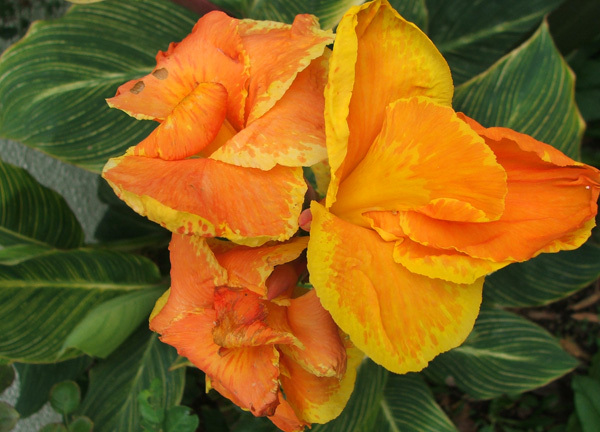 There is now another similar Canna on sale in New Zealand - I saw it in my latest mail order catalogue from Parva Plants - it's called 'Canna Tropicanna Gold'. I am tempted, as apparently this is a New Zealand raised plant, and we get to buy it before anyone else in the gardening world! And of course the much loved variety called Canna Tropicanna is another beauty. 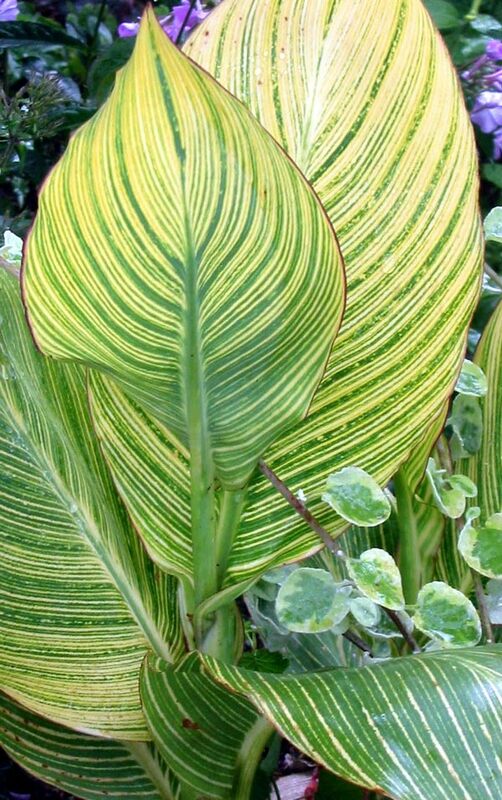 The colouring of these stripy leaves is amazing with the sun shining through them.